Harbour Vista is an ultra modern apartment arranged over the 1st, 2nd and 3rd floors of a beautiful Georgian house just metres from the chic restaurants of the West Cliff Arcade and the Royal Temple Yacht Club. Sleeps 7 | 4 Bedrooms. 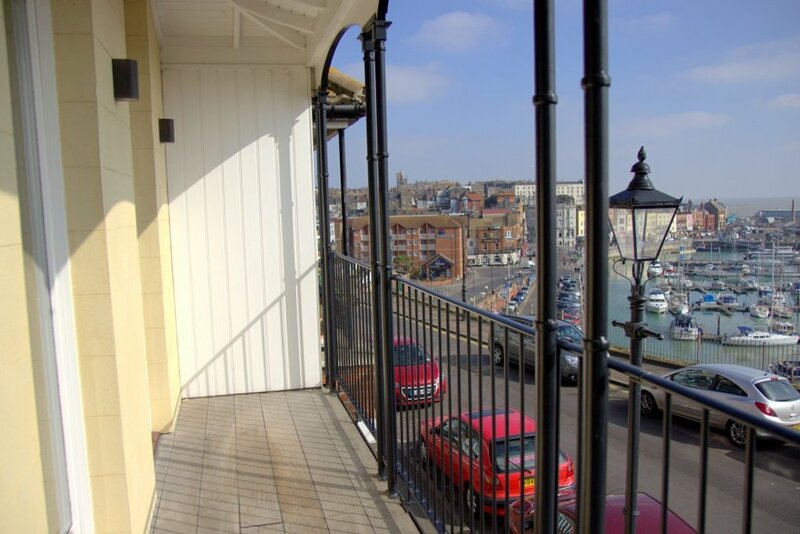 A Touch of Luxury - Roof terrace, Harbour views, Balcony. Harbour Vista is an ultra modern apartment arranged over the 1st, 2nd and 3rd floors of a beautiful Georgian house just metres from the chic restaurants of the West Cliff Arcade and the Royal Temple Yacht Club. 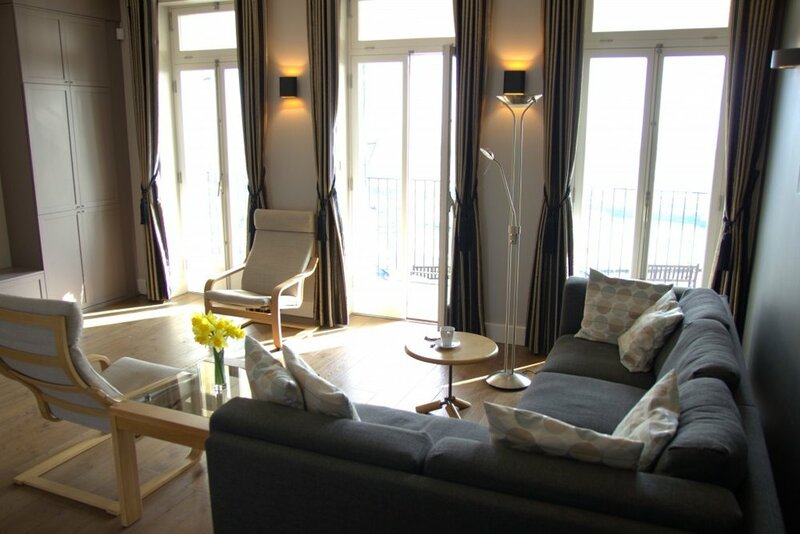 It has incomparable views over Ramsgate’s Royal Harbour, and from its roof terrace a spectacular 360 degree panorama. 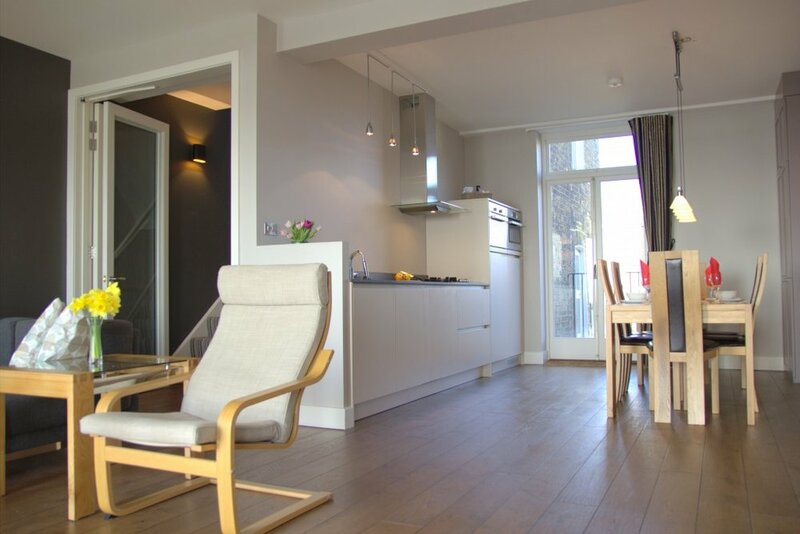 Behind the elegant exterior, the house has been redesigned to create a bright, luxurious and contemporary apartment decorated in tasteful modern style, fully equipped and with gas heating. 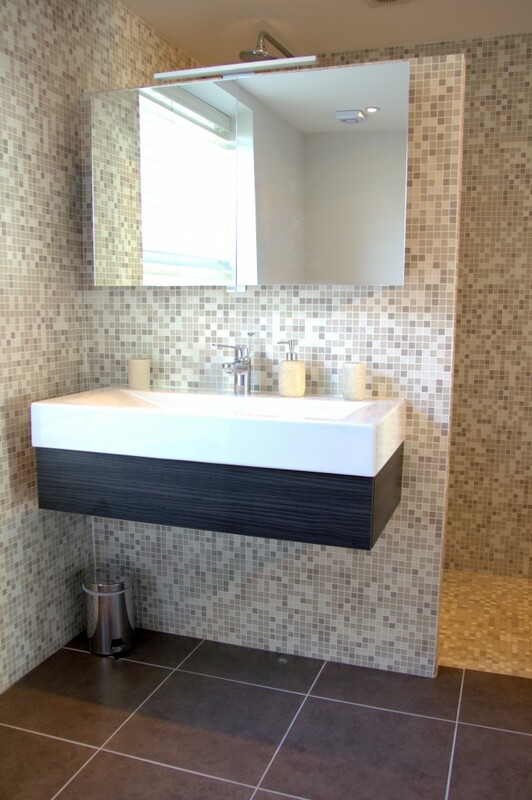 The mezzanine reception hall, an ideal place to retreat for some quiet reading, has a WC and handbasin. 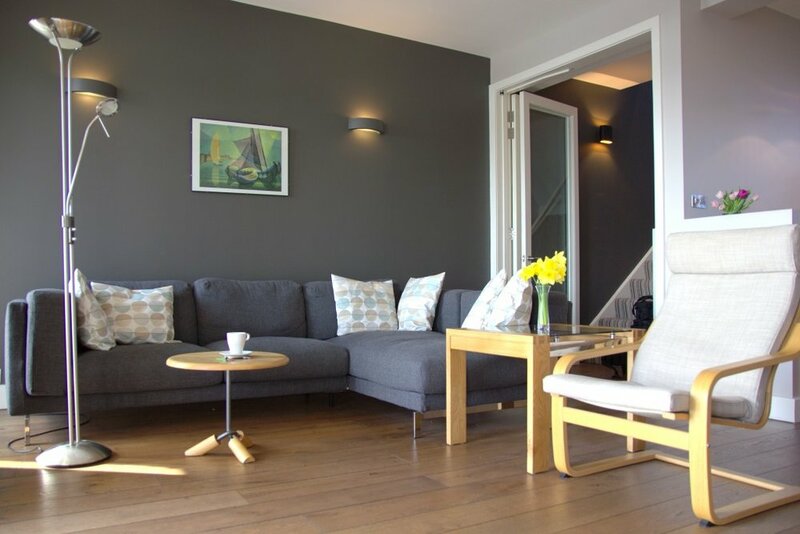 The spacious dual aspect, open plan living area on the first floor has underfloor heating and boasts a balcony overlooking the harbour – perfect for morning coffee - a large lounge area with tv, radio and gas fire; a well-fitted kitchen; and a large dining area. 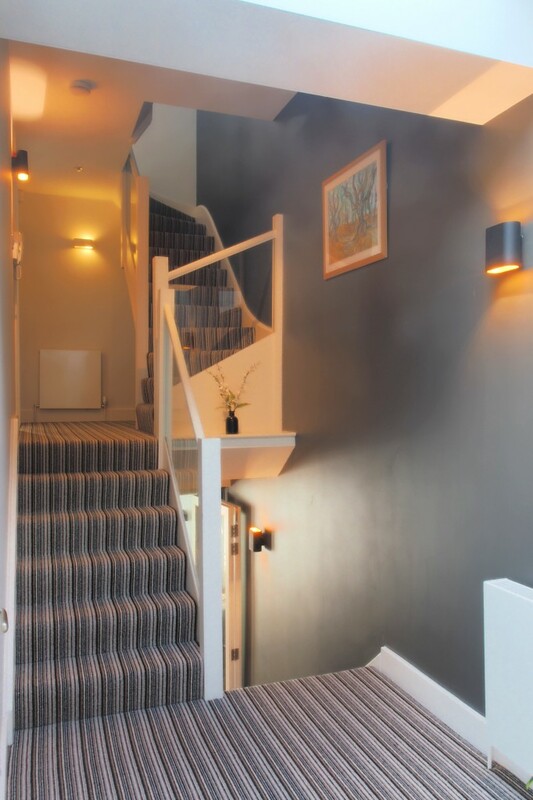 A few stairs take you to the upper mezzanine utility room with washing machine, dryer and butler sink. 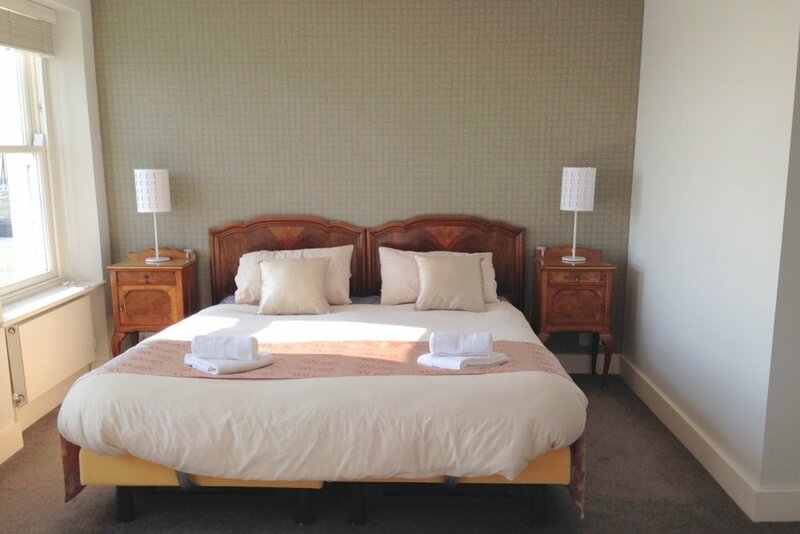 Continuing on up another half flight is the spacious master bedroom overlooking the harbour, with super-king-sized bed, dressing room and ensuite bathroom with underfloor heating and with walk-in shower, bath, bidet and WC. On the third floor are two bedrooms to the front of the house, again overlooking the harbour, one with twin beds, the other with a single bed and pull-out bed; a fourth bedroom to the rear with single bed, small sofa and desk, making an ideal study; and a good-sized shower room and WC. The final flight of stairs leads to a large roof terrace giving an unrivalled vista over the harbour and the town. There is a store with four loungers and other outside furniture. Sion Hill is a quiet road with on-street free parking, very close to the Royal Temple Yacht Club. 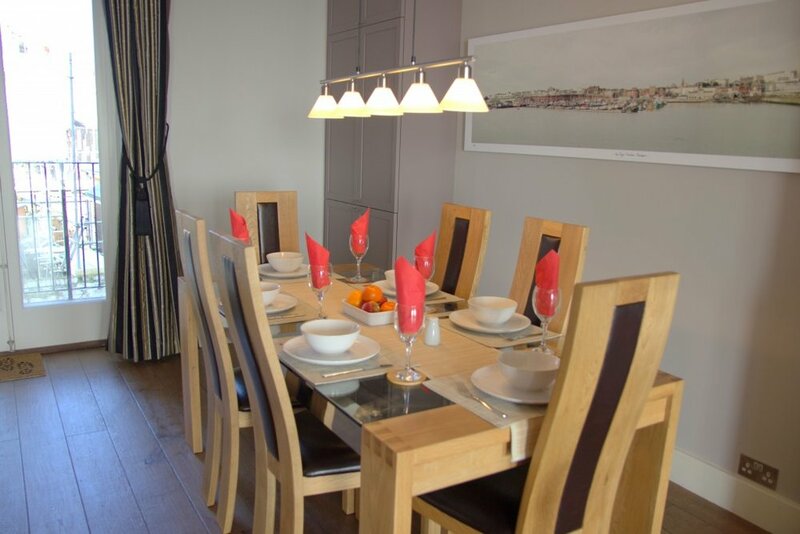 It is just a few minutes’ walk from Ramsgate’s beaches (both the Main Sands and the Western Undercliff), its vibrant café society and the town centre.